Downlink messages must be accomplished using SMS messages or Queclink tools; it cannot be done from TagoIO. More information about the GPS configuration can be found here. Add a device in your account at TagoIO. Go to Devices and click on 'Add Devices', filter network by 'Cellular' and pick your device from the list. Then, follow the directions to integrate your Queclink with TagoIO, and proceed to build your own application within minutes. When ready, click on 'Create Device', and you will have confirmation that the device was created. 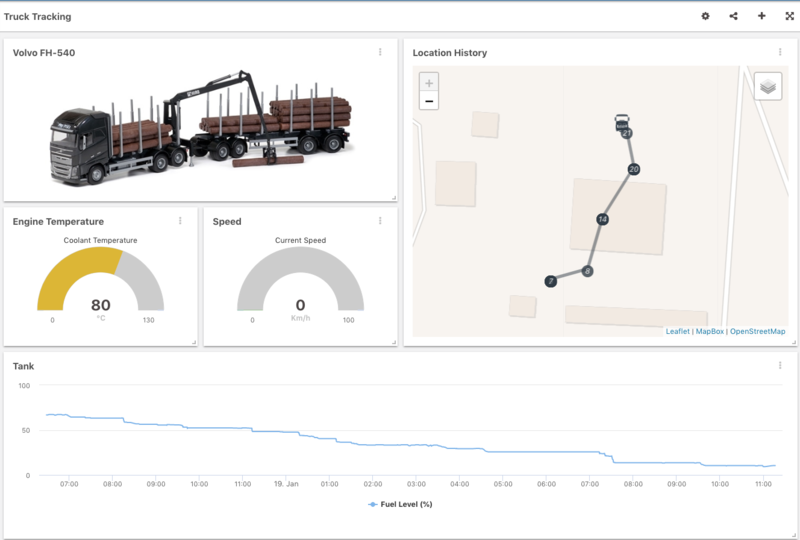 Turn your GPS on, and wait for the data to arrive and hit your data bucket, and it will be ready to be shown in the dashboards. Also, you can create notifications to send Push Notifications to mobile devices, SMS, or emails, and work with more advanced scripts as needed. 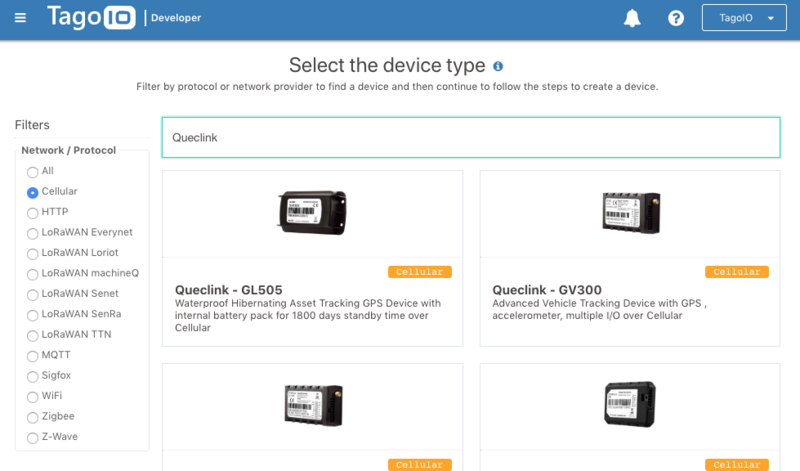 Enjoy your Queclink devices with TagoIO!